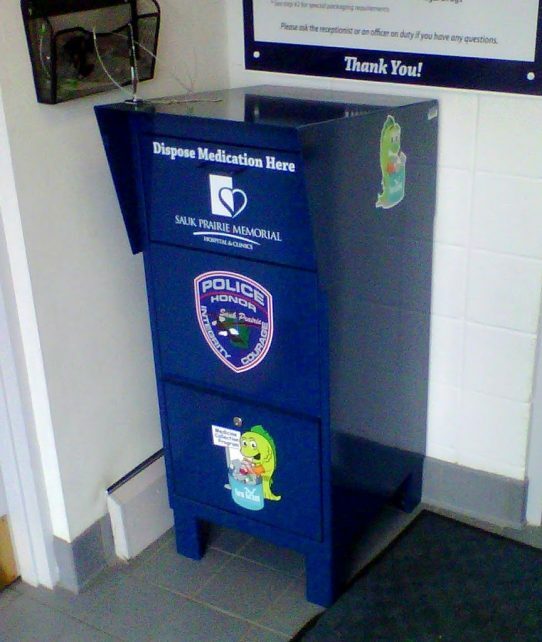 Recently it was reported that a police officer was allegedly stealing drugs from the medicine take-back program in Sauk Prairie, Wisconsin. I was disappointed when I first read the news. Then I was relieved, because the check and balance system worked just as it was designed to do. Medicine take-back programs are set up to help prevent drug diversion and to keep unwanted medication out of the water. Many are located in police departments precisely because the threat of diversion is so high—some of the chemicals collected are highly addictive. So the Drug Enforcement Administration (DEA) has set strict guidelinesfor collection programs to follow. There are checks and balances to make sure that the medicines that are collected are destroyed using best management practices and that they are not diverted from the locked collection boxes. The system is in place so that people can feel secure knowing that the medications they drop off cannot be removed out of the box except by those authorized to do so. But what if the ones authorized to do so become lured by these drugs, even at the risk of losing their health, their career, and the trust of their police department and their community? The system is designed to prevent that sort of diversion as well. In this situation it seems to have worked—other officers noticed odd behavior and took the appropriate steps. Regardless of whether the officer charged in the case is found to be guilty or not, this must certainly be a sad and frustrating time for the Sauk Prairie Police Department as they review their policies and procedures for the program. Illinois-Indiana Sea Grant helped set up the Sauk Prairie Police Department medicine take-back program, so as the IISG pollution prevention specialist, I think it is worth reminding the other programs that we work with, and the thousands of other take-back programs around the country, that having two officers managing the collection box is critical (and required by the DEA), but it may not be enough. Having others on staff who are paying attention to the program is not only responsible, it also helps maintain accountability. These programs are not just about lessening the impacts of pharmaceuticals in the environment—they are about trying to stem the rising tide of drug abuse in the United States. They are about helping to protect lives. The Sauk Prairie Police Department medicine take-back program provides an important service for their communities. I’m thanking them for hosting the program and for being transparent when something allegedly goes awry. And thank you to all of the other law enforcement agencies that host medicine take-back programs. You are protecting and serving people and the environment. Please keep up the good work.